I have visited and dined at several MoMo Cafes at Courtyard by Marriott Hotels across India, but somehow my recent experience at the one at Chakan Pune was exceptional. The warmth in the cafe was not merely owing to the bright sunrays and light permeating from the glass windows. It was the staff and the service that made all the difference. The breakfast buffet was a sumptuous spread. Eggs to order from a live counter, waffles, Asian delicacies, Lip-smacking South Indian fare and of course cold cuts, baked beans, an array of breads et al. Lunch too was a lavish affair as was dinner. 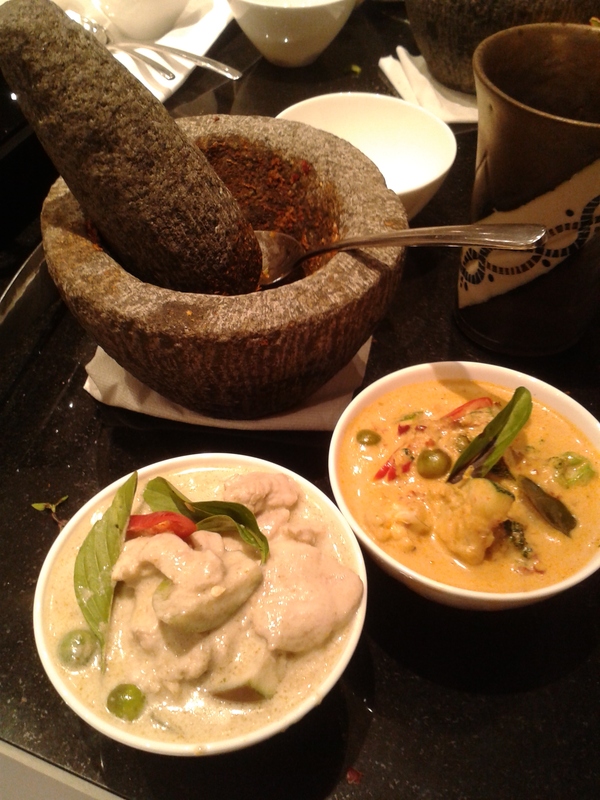 The freshness of the ingredients was laudable as I relished each morsel we ate here. The dishes were simple, mostly classic ones but cooked to perfection. No artificial flavours or preservatives at all. The diversity of the fare which is a blend of global food and regional delicacies, is the highlight. The chefs clearly have an eye for detail, as the presentation of the dishes is outstanding. The desserts were easily the wow factor. Chef Jitendra was truly creative. His melt in the mouth caramel custard was beyond my expectations. A simple dessert but speaks volumes for a good chef. The real test to my mind and he passed it with flying colours. He was innovative too. The star anise flavoured chocolate mousse was unique and flavourful. The spice had been cleverly and subtly used. 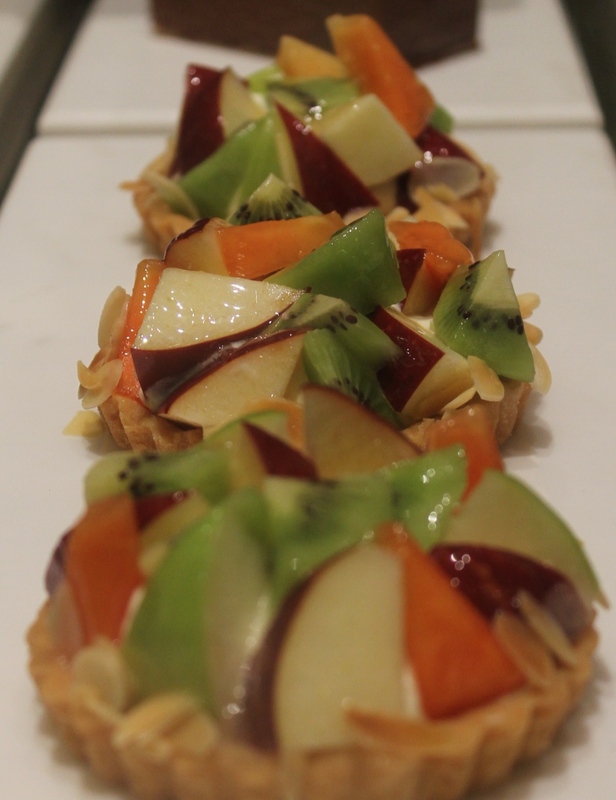 The bite-size fresh fruit tarts were a treat for the eye and palate. Equally delicious were the Indian sweets prepared by a Maharaj. Authenticity of these sweets, was what struck me as inimitable. Jalebis, gajar halwa, mango phirnee. Each tasted better than the other. The team of chefs under the leadership of Executive Chef Girish Kumar are truly exceptional. The flavours, textures, presentation and taste of the food is unparalleled. Noticing my reluctance to eat a full-fledged dinner, Chef Anurag went out of his way to send me some light and fluffy chicken steamed momos. A sweet and thoughtful gesture, I will never forget. So even if you are not staying at Courtyard by Marriott Chakan, Pune, make sure you stop by for a meal the next time you are heading to Pune. Trust me, you will end up staying here. At MoMo Cafe yeh dil maange more! Truly, a lot can happen over coffee, as they say. A lot more can happen with coffee. I discovered that as I headed to the Philips Coffee Brewing workshop at noon last Saturday. Different types of coffees is what I expected to get acquainted with and perhaps some food pairing, but what I experienced, was an intellectually stimulating session with oodles of fun and learning. 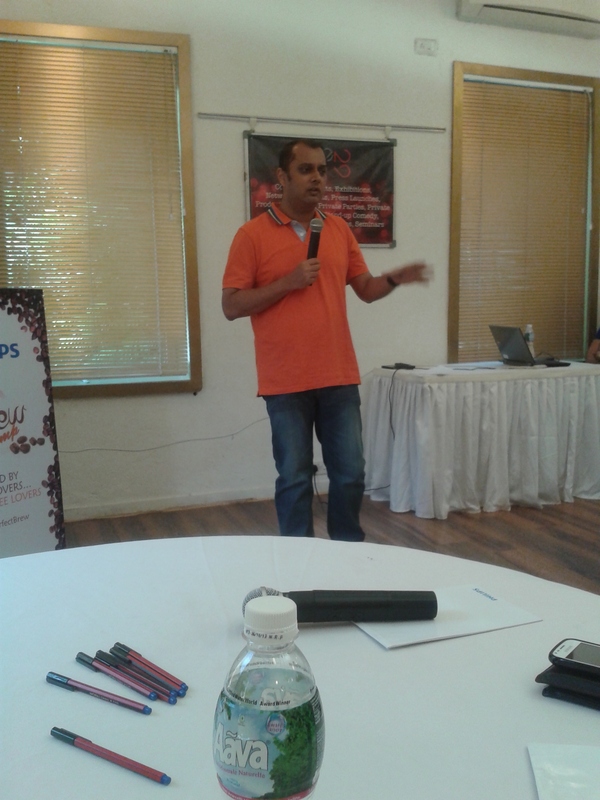 Kalyan Karmakar, the curator, is known for being a food lover. Add to that Philips as a host and the perfect cuppa brews. We began recounting our “first” coffee memories and interesting facts came up. Many similar too. A coffee quiz followed, which made me realise, although I love the beverage, I do not know much about it. What followed next was a fun group activity of food pairing with coffee and we enjoyed the goodies- orange cup cake, pizza crackers, banana cake, Danish apple cake, cookie and so on with our cuppa. We had to pair the perfect food item with our coffee. Unanimously the Danish apple cake was selected by almost everyone, regardless of whether it paired with the coffee or not. Aditi Juneja of Socially Foodie, had baked the delicious cakes and eats. Coffee art was the last thing on our agenda that afternoon. 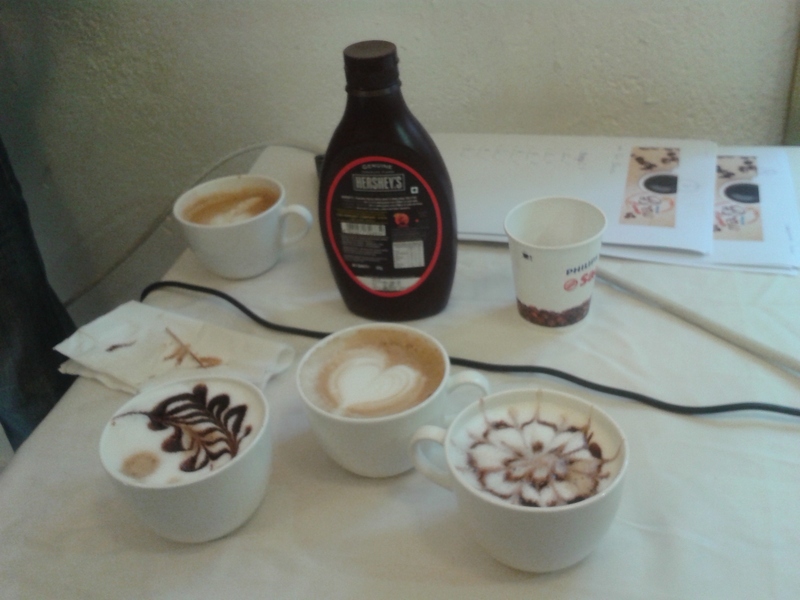 Using a chocolate sauce and milk foam, the Philips expert demonstrated coffee art. Voila. He made it look so simple. He made beautiful designs so effortlessly. Some of us tried our hand at it. Many of them succeeded. Over a sumptuous lunch we looked at the coffee machines by Philips Saeco, which were for home use as well and quite simple and user friendly. Over all, it was a Saturday well spent. Sipping your favourite beverage and learning more about it. There can’t be a better combination. 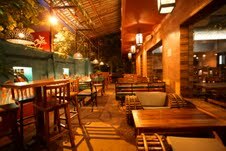 If you’re in a mood to have a good time and relax over a drink or two and some good bites, head straight to Copa in Juhu. The ambience and decor relaxes you immediately. I have never had so much fun being a teetotaller as at Copa, for there are so many interesting mocktails to choose from. I settled for the apple pie infused tea, while my companion opted for a ginger-spiked apple and pear muddle. Refreshing was the only word to describe the two drinks. We were energized and enjoyed the lovely music that was playing. The outdoor tables enhance the appeal of the place. Of course for those who drink, spirits, wines and exciting cocktails galore are on offer. Tequila prawns with Jalapeno glaze seemed the perfect way to start our evening. 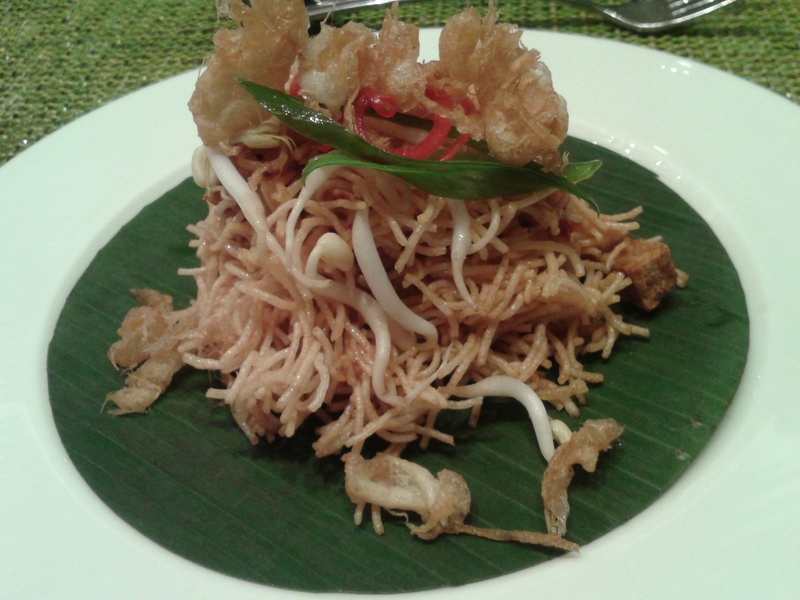 The flavour was delectable and the prawns succulent and juicy. The Greek souvlaki pockets with chicken were a real treat. Little pita pockets filled with tasty chicken pieces were well made. Gaurav Dabrai, the owner, has clearly succeeded in creating a lovely place for all age groups. Chic and elegant, it is informal and fun too. Burgers, Pizza, kebabs, sandwiches, wraps, there is a fair amount of food options. So, one cannot complain. And there are enough options for vegetarians as well. Ragda pattice, paneer steak, peri peri aloo tikki, mushroom n cheese seekh. Chicken Alfredo pizza cam next. It was insipid and more like a cheese toast doused with excess cheese and thus very disappointing. But the kung pao Chicken wrap more than compensated for it, with its robust and spicy flavours. Copa is the ideal place to unwind and hang out with friends or family. You are left alone and the service is unobtrusive. Affordably priced, it is appealing to every pocket. Let’s raise a Copa, to that. Oops! I meant a glass in Spanish! Pan-Asian food is my all-time favourite. And a no- frill sans fuss QSR was just what I needed. Asia on My Plate (AOMP) at Bandra Reclamation, in the western suburbs of Mumbai is a haven for food lovers. There is another outlet at Lowe Parel too. Ganesh, very courteously assisted us, as we entered and acquainted us with the menu for the day. We settled for the lemon coriander chicken soup. 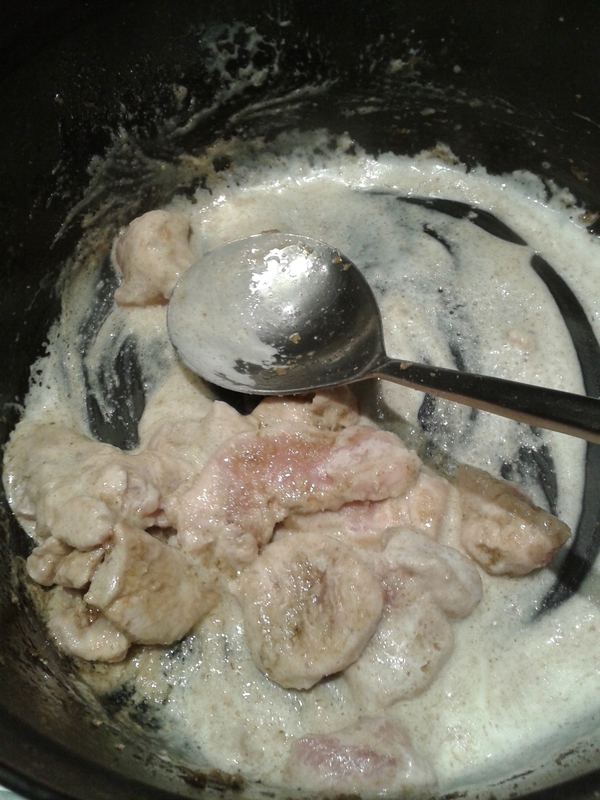 I was expecting a watery, clear soup, but what was served was a delicious thick flavoured broth with chunks of chicken. Nice and tangy, it added the right zing to our palate. 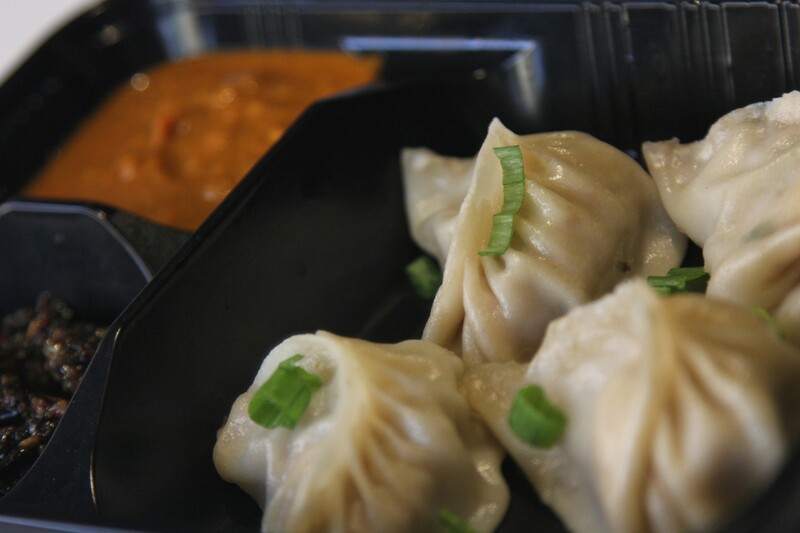 Succulent, fattened, juicy, chicken steamed momos came next. The filling was yummy. The covering perfect, unlike what is commonly served in many places. Full marks. I was only concerned about the value for money bit. 4 pieces for Rs 175 seemed a tad expensive to me. The main course of noodles with chicken in a luscious sauce surpassed my expectations. The sauce was unusual and flavoursome. 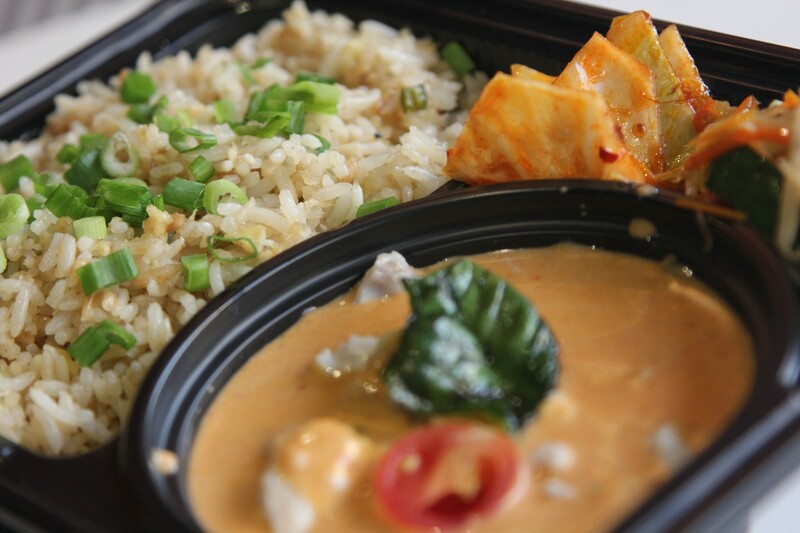 The orange Malaysian curry was well-made and paired well with steamed white rice. Scrumptious, and filling. The dessert, a chocolate mousse sourced from outside was lacklustre and disappointing. The food chain serves ready to take away Asian Cuisine prepared by exclusive master chefs who have their experiences in various Asian Countries, hence be it your special spicy thai chicken salad LAPKAI, or Japanese veg tempura. The menu includes interesting range of combos, starters, main course and deserts along with Asian-inspired fast food salads. Not surprising at all, considering, popular Chef Nilesh Limaye, is at the helm. If you are hard-pressed for time and want a quick, yet, satisfying meal, AOMP is the place. The added attraction is that all the dishes served are green in nature which means they are chemical and preservative free. Even Ajinomoto or MSG is strictly avoided hence it bypasses your regular Chinese fast food by miles. Kudos! I like that. Ayurveda and its food philosophy has always intrigued me. But somehow, even though Swad Shakti has been around for a while, I somehow missed experiencing it. But my recent visit, was well worth the wait. Tucked away in a quiet residential lane, off S.V. Road, Swadshakti, seems to be very popular and has a set clientele. The place has a serene and positive vibe to it. Bustling with guests, it is always busy. A retreat for the health-conscious foodie, this place serves pure vegetarian food, based on Ayurveda’s detoxifying principle, Panchakarma. 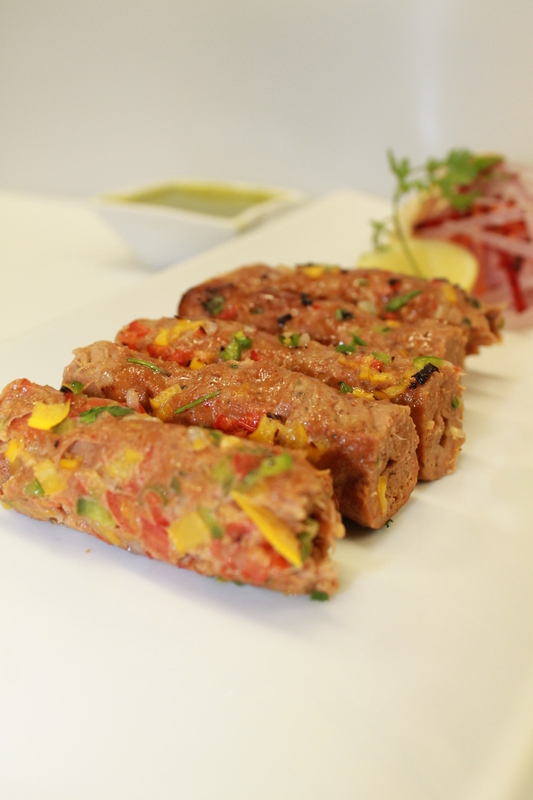 Chef Manoj Keni seems to know all his customers personally and prepares bespoke meals for them. The menu too is fairly exhaustive. It has interesting sections titled prarambh chaat, amantran, nimnatran and so on. We start with oorja, an energy booster made with dates. It is refreshing but filling too. With my cold and cough, chef sends me a special coriander and ginger broth. Ah! My throat actually feels better after the first few sips. The famous pav bhaji comes next sans any tomatoes. Chef Keni does not use tomatoes in his cooking at all as those are not supposed to be beneficial. Instead he makes extensive use of kokum, as a souring agent, which is cooling. It is delicious and pairs well with the whole wheat bread instead of the traditional ladi pav. Rotis made of makki ka atta, rice flour and ragi are served piping hot with a palak preparation. They encourage people to eat more of ragi and jowar as compared to wheat. Palak or spinach has never tasted so good before. The food is cooked in pure cow’s ghee and is healthy, contrary to popular belief. Fermented foods are an absolute no-no as far as Chef Keni is concerned. He owes all his knowledge to Dr. Smita Naram, who runs the Ayushakti Health Care Centre there, and has trained him. The menu offers sandwiches, juices, rice dishes, rotis, vegetables et al. One is almost spoilt for choice. We round off our meal with hot moong dal khichdi, which is runny, soulful and gently spiced. It is flavourful and comforting. We almost feel healthier, as we devour our meal, without feeling over stuffed or uncomfortable. There is a lot more we’d like to try and shall save that four our next visit. Maybe after all the rich food and sweets after Diwali, it is time to pay Swad shakti a visit. What say?